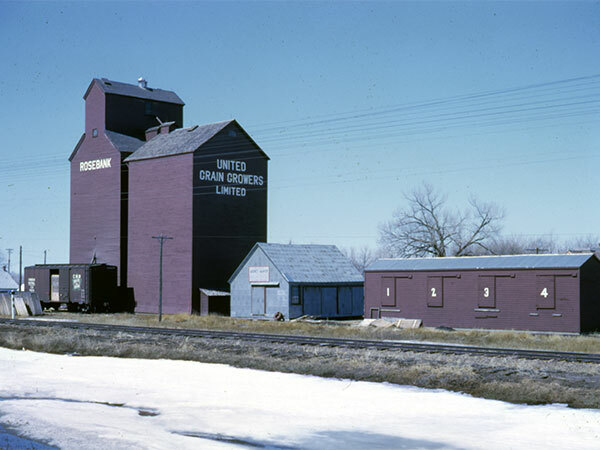 A wooden grain elevator at Rosebank, on the CNR Miami Subdivision in the Rural Municipality of Thompson, was built by United Grain Growers in 1927, replacing an earlier elevator at the site. Its initial capacity was 30,000 bushels but, in 1953, the facility was doubled in size by a crib annex constructed beside it. 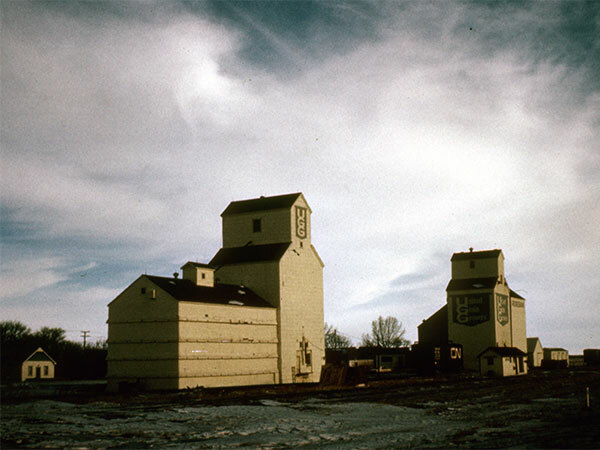 Renovated in 1970, the elevator was closed in 1988 and demolished in mid-1990. “Fire kills three in Saskatchewan,” Winnipeg Free Press, 2 March 1951, page 5. “Elevator is history,” Winnipeg Free Press, 3 August 1990, page 3. Miami & R.M. of Thompson Chronicles by R.M. of Thompson History Book Committee, 1998, pages 24-25.